Aquaponics is a growing technique that combines elements of both hydroponics and aquaponics. It harnesses a symbiotic relationship that exists between fish and vegetables, where the fish provide nutrients required for healthy plant growth and the plants filter the water for the fish. The real work is done behind the scenes however by millions of bacteria that colonise the growbed and that work hard to process the waste that the fish produce (ammonia) and turn it into plant food (nitrate). This blog post has been written to explore the unique challenges that present to the aquaponics gardener and to provide some insight into how these challenges might be met, so that aquaponics can continue to develop as a sustainable alternative growing technique into the future. Fish, plants and bacteria all have their own preferred water quality parameters such as temperature and pH. Balancing these often competing requirements can be a challenge. Traditionally in hydroponic food production, growers can exert a great deal of influence over their water chemistry in order to achieve a desired result however in aquaponics management actions need to be able to satisfy the requirements of each living component. So why bother? Well it is this complexity that is at the very heart of what makes aquaponics such a resilient and self-regulating growing technique. It is the interactions between the fish, plants and bacteria that further closes the loop on the water, nutrient and waste cycles, thus making aquaponics a very attractive alternative. Success in this area will therefore depend on the ability of growers to firstly understand and then to integrate the needs of each living component within the system. Although our appreciation for these interactions is growing there are still a great many gaps in our knowledge that will need to be filled in order to realize the full potential of this growing technique. 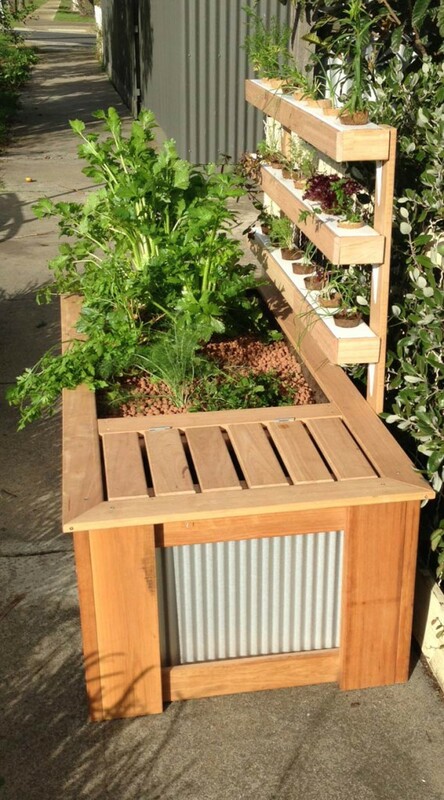 An all in one aquaponics system that the foodqube team built. Due to the relative infancy of aquaponics as a mainstream growing technique a great deal of unsubstantiated claims are still making their rounds in backyard grower’s circles. This often-conflicting information is making it difficult for the beginner gardener to develop an informed position on how to best manage their home system. An example of this is illustrated by taking a look at grow bed depth. During the pioneering stages of aquaponics it was professed that a grow bed depth of at least 300mm+ was essential to support a healthy colony of bacteria in an aquaponics system. There is however a lack of any real evidence to support this claim and therefore I believe that early adopters are using a lot more of this material input than is actually required. The same can be said for electricity inputs to a system where people are using over sized pumps and running them for excessive amounts of time due to currently accepted practices in plumbing and grow bed design. This all brings me to my next point, which is how we can look to material and energy flows in a system for opportunities to further close the loop on aquaponics as a growing technique. Aquaponics provides an opportunity to shift away from linear (open loop) systems, in which the inputs to a system eventually move through and become a waste, to a closed loop system where wastes can become the inputs to a range of other processes. This is in sharp contrast to conventional farming practices where losses of water, nutrients and wastes are a generally accepted practice. The dichotomy that exists however is in the additional material inputs that are required to both set up and maintain an aquaponics system. It is therefore hugely important that consideration is given to the types of materials that are used during the construction phase of an aquaponics venture as well as looking at the inputs that are used ongoing. We have already touched on a couple of ideas in the preceding paragraph but there are still huge number of opportunities to improve how we go about gardening aquaponically including; water and energy procurement, fish food and waste management, management of additional nutrient requirements and material inputs used throughout the construction and maintenance phases. Ultimately the success of aquaponics at the backyard level will be determined by its ability to reward the gardener for their time, energy and resources spent. Learning to harness the natural efficiencies of aquaponics will play a crucial role in how successful aquaponics is into the future. This success will also depend on the ability of leaders to provide a consistent and strong message to gardeners around current best practice management. Lastly and most importantly consideration needs to be given to the material and energy flows that make up the system. There is much controversy that exists around aquaponics and how it fits within a permaculture design framework. 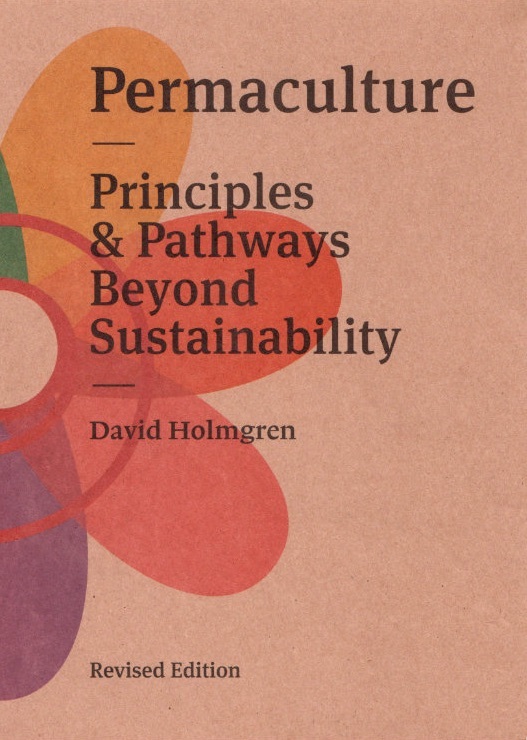 Much of the discussion however has been very one dimensional in nature and so in order to provide a whole of systems comparison I will attempt to assess aquaponics against the 12 defined principles of permaculture. Observe and interact Aquaponics offers people a connection to and an appreciation for the food they eat, like nothing else. The amount of observation and interaction required to maintain a healthy system has it score very highly in this area. Catch and store energy Aquaponics is able to in-directly capture and store energy in the form of food. In fact fish have a markedly better feed conversion ratio than any other farmed livestock. Obtain a yield Aquaponics is an intensive form of food production and can be very high yielding. Apply self-regulation and accept feedback The ecosystem that exists within aquaponics is very much self-regulating. As more nutrients enter the system, bacteria and other organisms like fungi and worms naturally colonise to process the additional nutrients. Use and value renewable resources and services This is a definite point of contention and the outcome really depends on the system itself i.e. has renewable energy been used to power the pump; has the system been built from recycled materials; has a low impact grow media been used & does the system try to minimise its electricity use. The super-efficient use of water and nutrients in aquaponics needs also to be recognised here. Produce no waste The inherent closed loop nature of aquaponics means that it is free from any wastes and is a big thumbs up here. Design from patterns to detail Aquaponics has helped to identify a number of shortcomings in our current food system and it offers people an opportunity to do something about it if they so choose. Integrate rather than segregate Aquaponics is a great example of a working ecosystem. You feed the fish, the fish produce wastes, bacteria convert these wastes into food for the plants, the plants take up the available nutrients thus cleaning the water for the fish. Use small and slow solutions What is remarkable about aquaponics is its uptake by the home gardener. The slow but steady growth that has occurred in the backyard farming setting is allowing this technology to mature at a safe and sustainable rate. Use and value diversity Aquaponics thrives on diversity. The greater the number of fish and plants in the system the more resilient it will become. Diversity in organisms like bacteria, fungi and worms will also create a healthier system. Use edges and value the marginal Aquaponics is definitely an outlier. Only recently have people really started to experiment with different growing techniques and technologies. I believe that it is important to continue developing knowledge in this area as it just may be a critical part of the overall food system into the future. 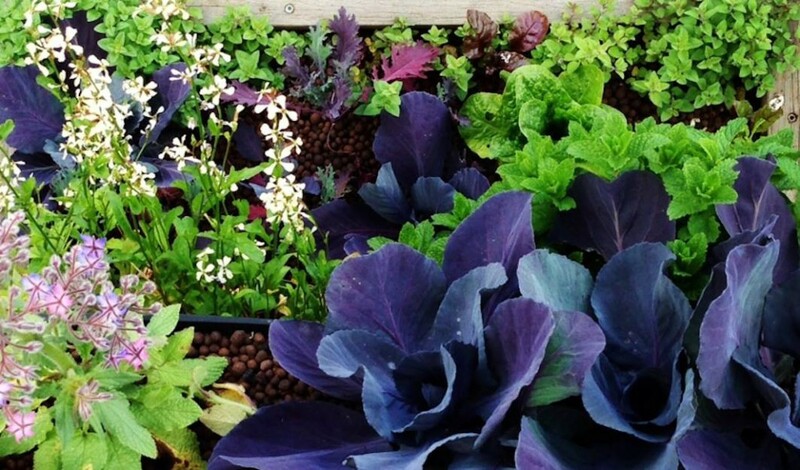 Creatively use and respond to change I believe aquaponics is still very much in its infancy and that we are about to see an explosion of creativity in this space as people begin to reinvent and redesign aquaponics as an urban farming practice. Build your own system from recycled materials; There is enough wood in a single double pallet to build a 300 plus litre aquaponics system. 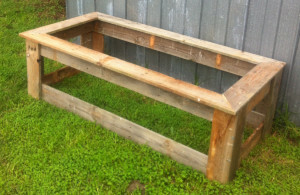 All you need to do is find a second hand pallet, salvage the wood and build a rectangular frame that will house both your fish and grow bed (fish tank can be made using a pond liner & grow bed can be made using a hydroponic grow tray). Another great idea is to use recycled corrugated iron as a wall material! I managed to do a proof of concept for our kits in just a single afternoon. Make your own fish food; Not only does making your own food give you control over what goes into it but by creating a fish food that is designed specifically to feed your plants rather than your fish it will inevitably boost the macro and micro nutrients in your system, thus ensuring good vegetable production. 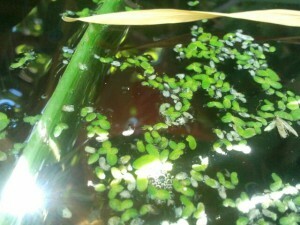 Grow your own fish food; Duckweed, black soldier fly larvae (warmer climates) and any green leafy veggies will all provide you with a food source that can help to supplement or replace commercial feed altogether. Reduce your power inputs; Run an intermittent flood and drain system rather than continuous ebb and flow system. This can be set up on a timer to run only 15 minutes of the hour and can reduce your power input by almost ¾. Reduce the depth of your grow bed; Rather than going 300mm deep with your grow bed, try a much shallower bed of say 100mm. Not only will your system be more compact, lightweight and easier to transport but it will also reduce the embodied energy of your system. Use low input additives; rely on egg shells, banana peels and other natural products to correct deficiencies in your system. Egg shells will boost the calcium in your system and banana peels will boost your potassium. 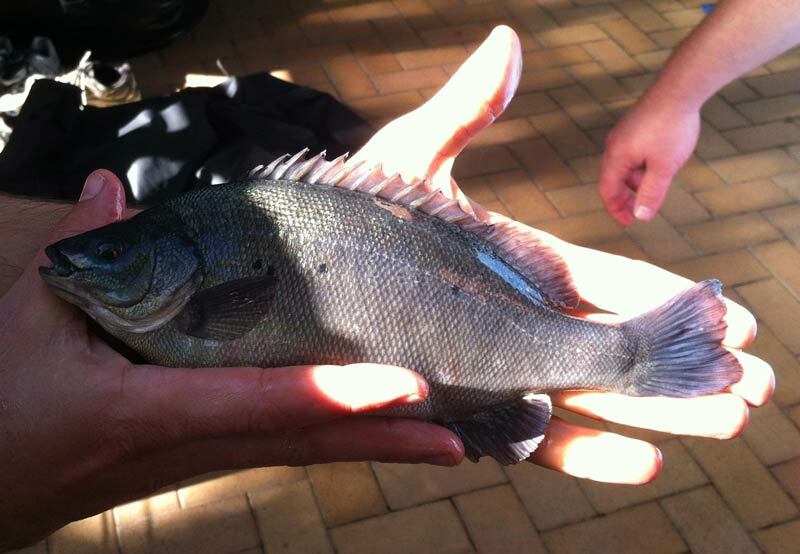 Choose a hardy fish species; In terms of fish species I advocate strongly for the use of Silver Perch throughout the cooler states and Jade Perch for the warmer States. This is due to their wide tolerances to swings in water quality and the fact that they do well in tank culture. For more information from Rob and the team at foodqube subscribe to their blog. I love this. My wife and I are planning to start an organization in the USA which will create a network of urban communes, and we are looking for effective ways to utilize space efficiently. Aquaponics seems to be a great option for that. Is there a good reason to build the tank above-ground? Would digging trenches and using pond-liner help with: A– reducing the materials needed, and B– creating a more stable thermal environment for the fish? The latter, from what I understand, can be important for using cold-water species of fish which put on a better Omega-3 lipid profile.